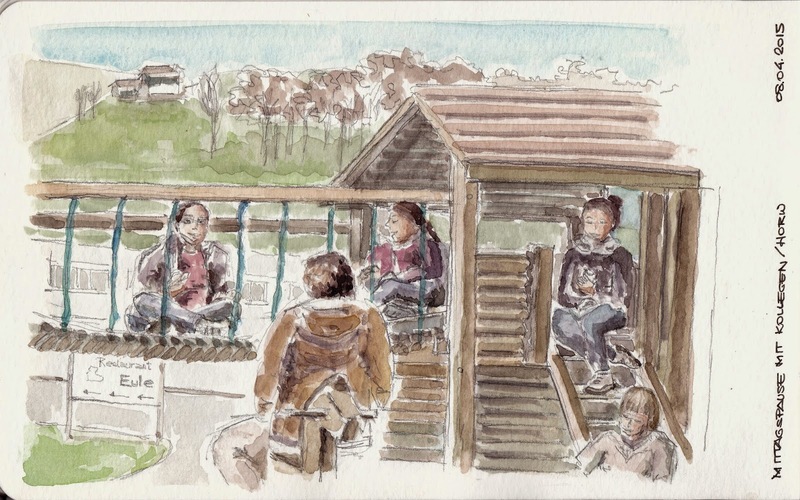 Urban Sketchers Switzerland: Lunch break with colleagues at the playground. Lunch break with colleagues at the playground. Horw (LU): Enjoying the sun in the lunch break with colleagues at the playground.